In 2019, Dumfries & Galloway Arts Festival celebrates its 40th anniversary year with a packed programme. The ten-day festival (24 May–2 June) is filled with performing arts events, to be enjoyed in village and town halls, theatres, arts centres and pubs in almost every postcode of south west Scotland. We caught up with organisers to find out more. Yours is the largest rural performing arts festival in Scotland. Why do you think the festival is so popular? Dumfries & Galloway is proud of their festival, with 78% of the audience being resident here. We support and bring the best performing arts to our rural communities, delivering in one of the most beautiful parts of the world, a region-wide multi-artform festival. What are some highlights from the last 40 years? We’ve been enjoying looking back through our programmes over the last 40 years, since the festival’s beginnings in 1979, we’ve delighted audiences with the rib-tickling Ken Dodd, introduced a little known virtuoso violinist by the name of Vanessa Mae and welcomed the much lauded and loved Wind Resistence by Karine Polwart. What are some highlights from this year’s event? We’re delighted that Perth Theatre at Horsecross Arts are opening our festival with Morna Young’s brilliant and lyrical Lost at Sea. The good doctor of folk and his twice Mercury Prize nominated daughter – Martin and Eliza Carthy – the blood pumping and poetic Electrolyte – hilarious ladies Catherine Bohart and Lucy Porter - and the sumptuous Scottish Ensemble join a whole host of incredible local talent including Alison Burns, Robyn Stapleton and Tom Pow. Where did the decision to pay tribute to fishing communities come from? Morna’s personal experience – loss of dad and personal experience but also one shared in many ways by so many in Scotland’s communities because of our relationship with our coastline. D&G has 200 miles of coastline for example and the story also spans 40 years of the Scottish fishing industry. Morna interviewed many fishermen and their families and their own words can be heard within the show. D&G is a buzzing region, with the best in performing arts available to watch amidst a region of breathtaking beauty, during our festival in May as well as all year round. 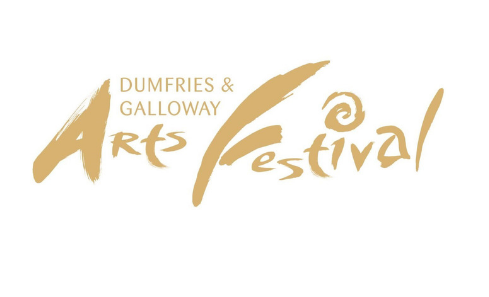 The Dumfries & Galloway Arts Festival takes place from Friday 24 May - Sunday 2 June. Find full programme details at dgartsfestival.org.uk.